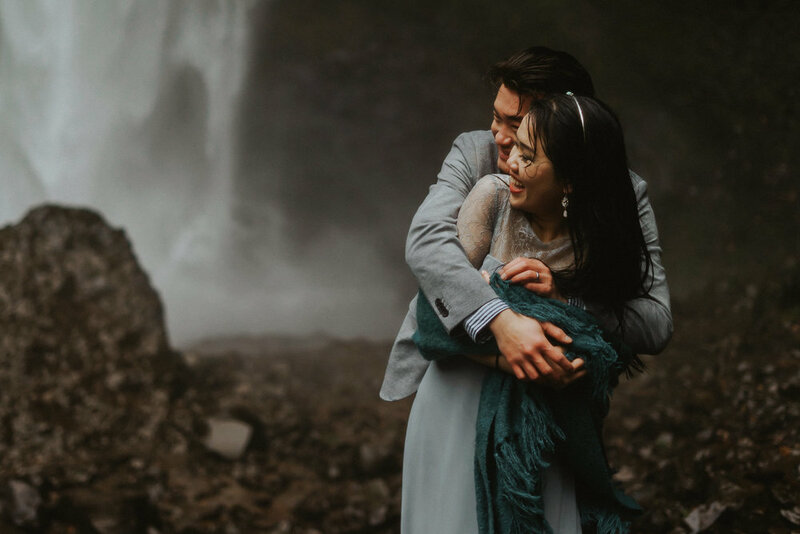 Ly & Andrew met in Portland, but even after 5 years of dating and working hard to support their respective families, they rarely had time to take a day or night out into the city and explore. So when Ly contacted me to work together on their engagement-connection session, we came up with the idea to make the most of it and with their 3-days off from work, we choose to do an adventure session a day. It was nice to collaborate with Ly & Andrew and to capture their experience of exploring a city where they found their love for each other. The locations we visited are popular to the Portland scene, so I won’t bore you with the events and details of the days. Just observe the connection Ly & Andrew have. If you can’t feel that through these images, I’ve failed.